We are a professional and innovative translation agency. We have more than 65 years' combined translation experience. We collaborate with highly qualified, degreed, and experienced native translators and interpreters. These only translate into their native language, ensuring the most accurate representation of your documents. We also have access to a worldwide network of professional translators. This enables us to always meet your translation needs by direct access to resources in any language combination and text type. Why should I register with Cosmolingo? It is not necessary to register unless you would like to receive an online quote. However, we recommend that you register, since this provides a fast and secure way for our clients to contact us. Registration offers the advantage of uploading text directly to a user's profile, or to contact us without disclosing any personal information. What must I do to register with Cosmolingo? In order to register with Cosmolingo you must go to My Account. This service is completely free of charge. Do I have to pay anything to register with Cosmolingo?? No, registration is provided free of charge. How can I nullify my registration with Cosmolingo? To nullify your registration with Cosmolingo, simply write to us at subscribe@cosmolingo.com. Be sure to include your account number. Your registration will be nullified immediately. What must I do if I have forgotten my user name and password? To recover your login information, write to us at support@cosmolingo.com. How can I request a translation quote? To request a translation quote, send us an e-mail along with the text to be translated to info@cosmolingo.com,, or you can use our Online Quote service. The price for translation is determined by the number of words of the original text and the text type. The language combination and delivery deadline are equally important factors in determining the price. Use our Price Calculator to calculate the price of your translation. Why are some languages more expensive than others? You have probably wondered more than once why translations of some languages are usually more expensive than others. The answer is that there are some languages that are generally more common than others. With most language combinations there is no difficulty in carrying out a translation because there are many translators available. However, for less common languages there are fewer translators and therefore there is less competition, and when this occurs, we all know what the consequences are. In other words, these translations are much more expensive than others. How can I count the number of words in my document? You can upload your .doc, .dox, .pdf documents or copy and paste them into our Word Counter. In the event that you experience some sort of technical difficulty, you can send us your documents to info@cosmolingo.com. We estimate approximately 350 words per page. What is delivery time frame for a translation? Can large volumes of text be translated in a short period of time? We can assign several translators to one translation project. By doing so, we are able to translate a greater volume of text in a short period of time, while still preserving terminology and meaning. Do you offer expedited translation services? We provide expedited translation services with same-day delivery, or delivery within 24 hours. Request an Online Quote or contact us directly, and we will quickly respond with information about our availability, based on the size and complexity of the text to be translated. How can I submit a translation request? To request a translation quote, send us an e-mail along with the text to be translated to info@cosmolingo.com, or you can use our Online Order service. You can also submit your translation request in the Client Area. In what format can I submit my documents? You can submit your documents in any format. In what format will translated texts be returned? 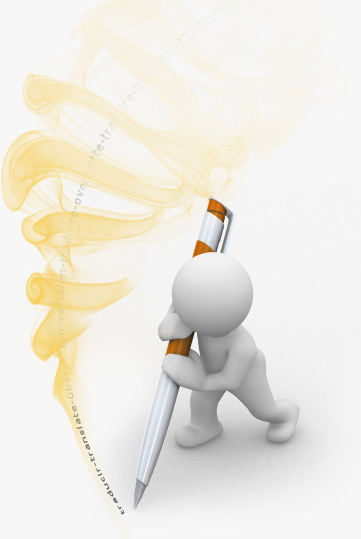 Whenever possible, we deliver your translation in its original format. That is, if your original document is a pdf, we will deliver your translation as a pdf document. Otherwise, we will deliver the translated text in doc format. You can e-mail the documents to be translated to info@cosmolingo.com, submit an Online Order, or upload them directly to your profile in the Client Area. Do you guarantee the confidentiality of my documents? Absolutely! Confidentiality holds the highest priority in our translation and interpretation services. Our translators and associates sign a confidentiality agreement with us to treat all accessible information as strictly confidential and to not use any accessible information for any purpose not related strictly to the translation project. How and when shall I pay for the services rendered? You can make payment for the services rendered to the account shown on the invoice or via PayPal™ within 30 days from the billing date. If it is a sworn translation, the total amount due must be paid in advance. For large-volume requests, we have special conditions. Please contact us for more information. PayPal™ is a safe and fast internet payment system through which you can easily make purchases using a debit card, credit card, or electronic bank transfer. PayPal™ is safe because your financial information is securely stored and protected by security systems and industry-leading fraud prevention systems. In Fact, only PayPal™ knows your bank information. What is an Online Quote? Online Quote is a user-friendly tool that enables you to calculate the price of your own translation. It's fast and easy, and there is no obligation. If you agree with the Online Quote, you can use the service to submit a direct translation request. What is the purpose of the Online Quote service? It serves as a means of calculating the price of a translation in a fast and easy way, without any obligation. What is the Word Counter and what is it used for? The Word Counter is a free application made available for you to count the words in the documents that you would like to have translated. To verify the word count for a particular document, simply copy and paste the text to be translated and click on "Word Count". The box will then populate with the number of words found in the text. What are the essential requirements for being a Cosmolingo translator? To be a Cosmolingo translator you must have a degree in translation or interpretation or possess a similar qualification (e.g. Degree in Philology). You must also be registered as self-employed or be able to issue invoices. How can I register as a translator with Cosmolingo? To register as a translator you must meet the essential requirements and fill in our online form. By registering with Cosmolingo do I commit myself to anything? No, you do not commit yourself to anything by registering with Cosmolingo. You decide whether or not you want to accept an assignment. However, if you do accept an assignment, you must submit it by the established deadline. How will I receive assignments? Before accepting an assignment, you will receive the details of the job, with the number of words, submission date, and the total price of the translation. You decide whether or not you want to accept it. How much will I be paid as a freelancer? The amount will be established according to the language, type of text and number of words of the translation task. The payment will be made by bank transfer or by PayPal around the 20th of the month after the work is submitted. Who monitors and assesses my work? Your translation work will be monitored and assessed by a second translator.